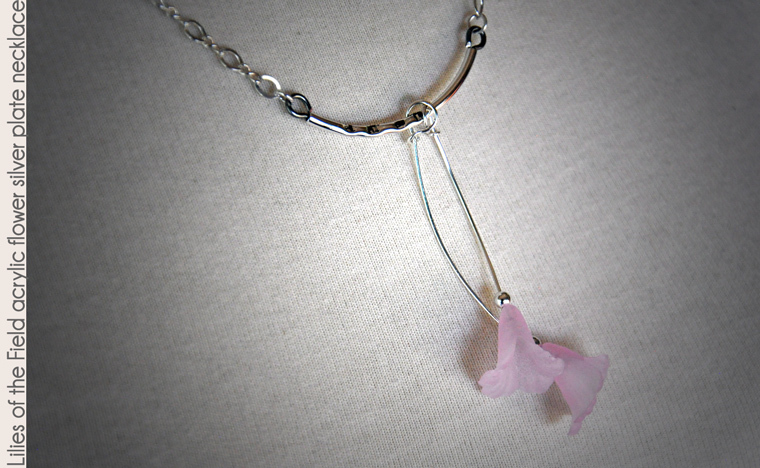 Two pale pink acrylic lily flowers dangle from a silver tube stamped with "amen", inspired by the closing hymn in the 1963 movie "Lilies of the Field" starring Sidney Poitier. 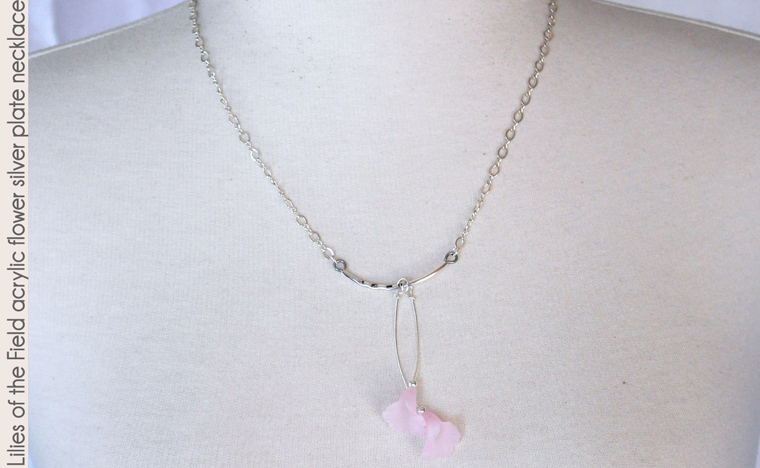 The 19" necklace with 3" flower pendants is made from sterling silver fill chain (sterling silver fill is a thicker layer of sterling silver over a base metal such as brass, copper or an alloy than silver plate) and silver plate components. 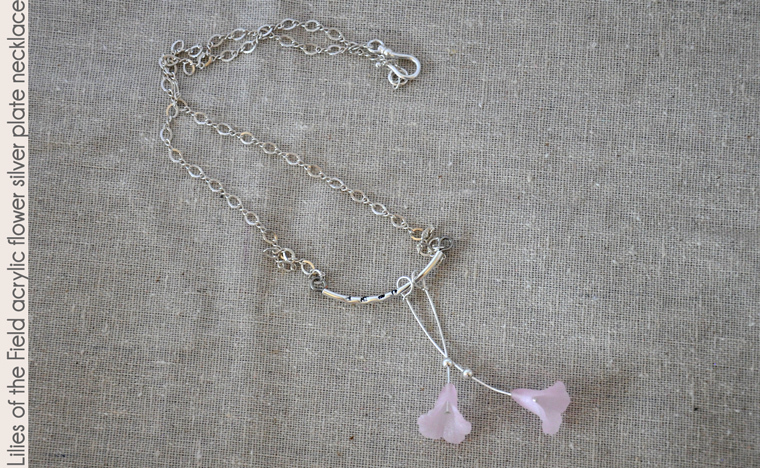 White bronze hook & eye clasp. The "stems" of the pale flowers are relatively stiff, but not stiff enough to survive sustained tugging unbent! As with all beaded jewelry: do not let young toddlers chew on it. 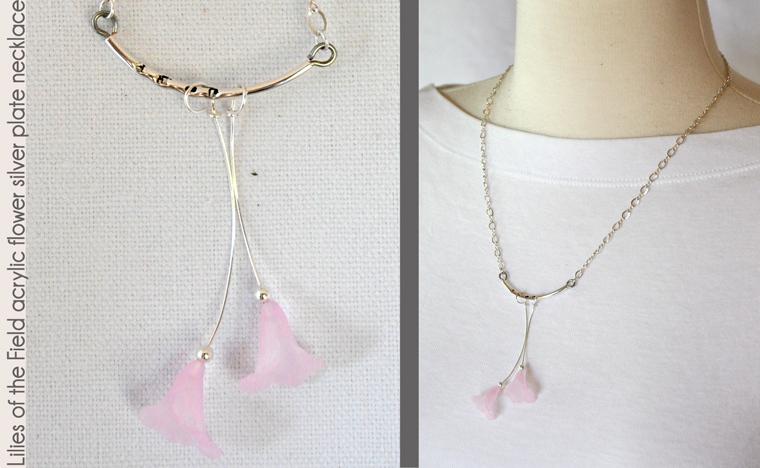 The chain and curved tube are 19" in length, and the flowers extend another couple inches, making this a nice mid-length necklace with a focal element. 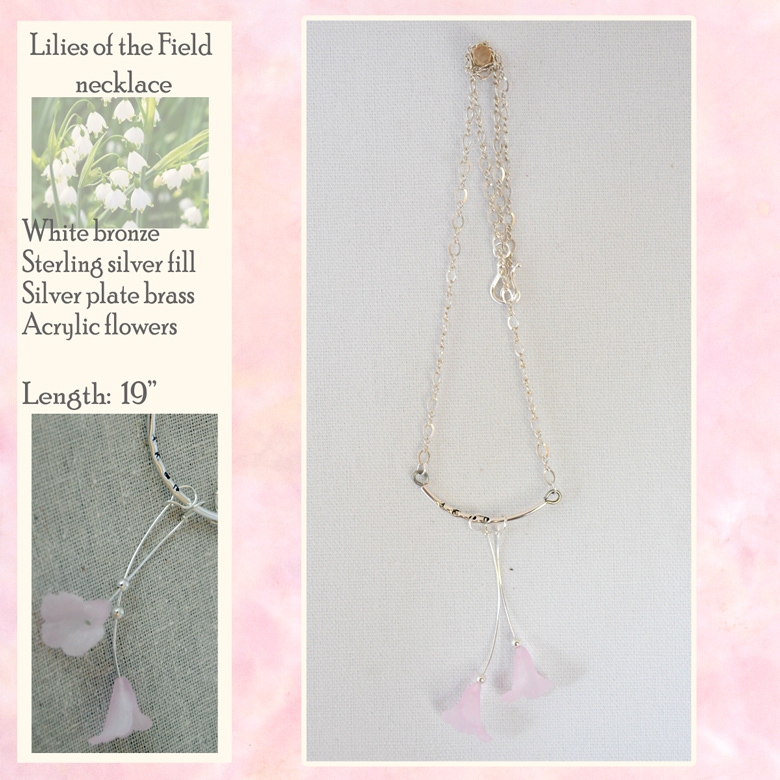 It's best worn with flat front tops, like t-shirts or shells, so the flowers can drape nicely.